Going nowhere fast. That's what happened on some of the nation's airport runways during July. 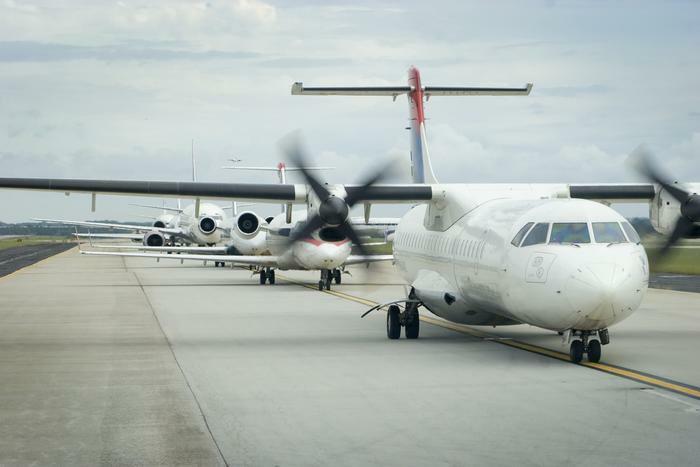 Airlines reported 11 tarmac delays of more than three hours on domestic flights and 10 delays of more than four hours on international flights in July. All are being investigated by the Department of Transportation (DOT). Additionally, the government received 1,963 consumer complaints about airline service. While that's a decline of 9.4% from the same time a year ago, it's up 31.6% from June 2016. The DOT's Air Travel Consumer Report includes information on on-time performance, cancellations, chronically delayed flights, and the causes of such delays. Also included are statistics on mishandled baggage reports, oversales, and information about the number of animals that died, were injured, or were lost during air transport in. The full report is available on the DOT website.